roti pizza recipe | pizza roti | roti pizza with leftover chapati with detailed photo and video recipe. 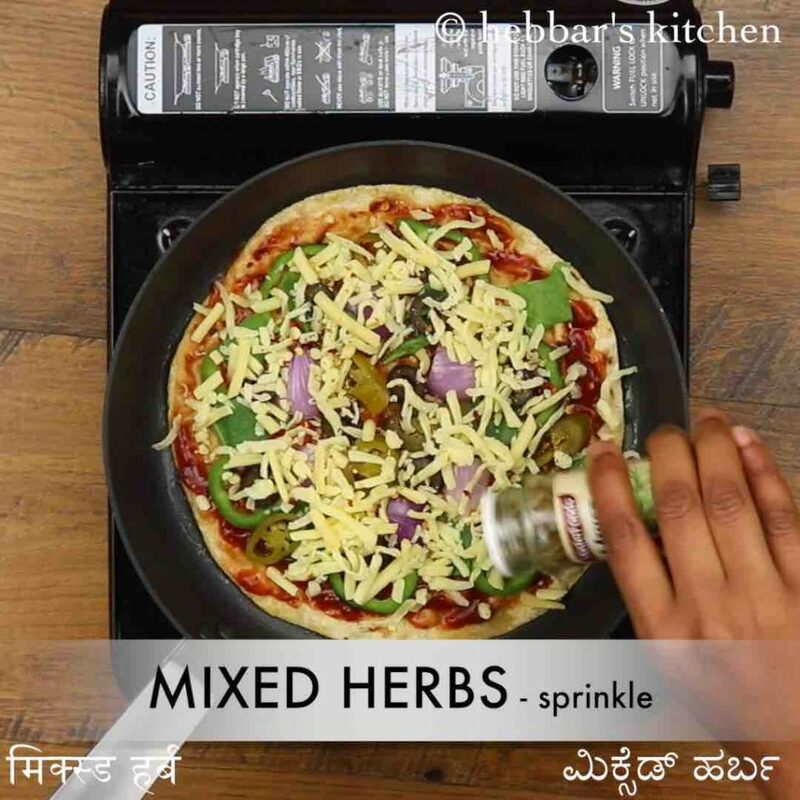 a unique and clever way of preparing the traditional pizza recipe with leftover chapati or roti’s as a pizza base. 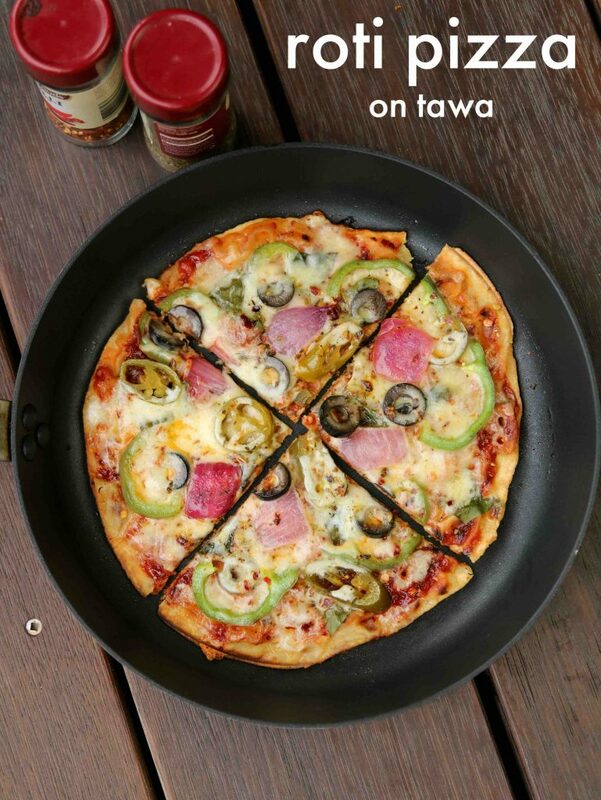 it is an ideal pizza recipe which can be prepared on tawa or pan and without an oven. the recipe is easy and simple and can be prepared within minutes with the choice of toppings. roti pizza recipe | pizza roti | roti pizza with leftover chapati with step by step photo and video recipe. indian cuisine has embraced many cuisines ranging from east to west and has resulted to many fusion recipes. also, these fusion recipes generally target leftover dish from the previous night dinner or lunch. 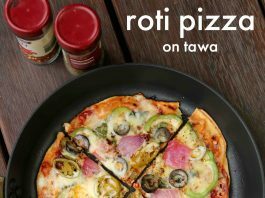 roti pizza is one such fusion recipe which can be prepared within minutes yet holding the same pizza flavour and taste. 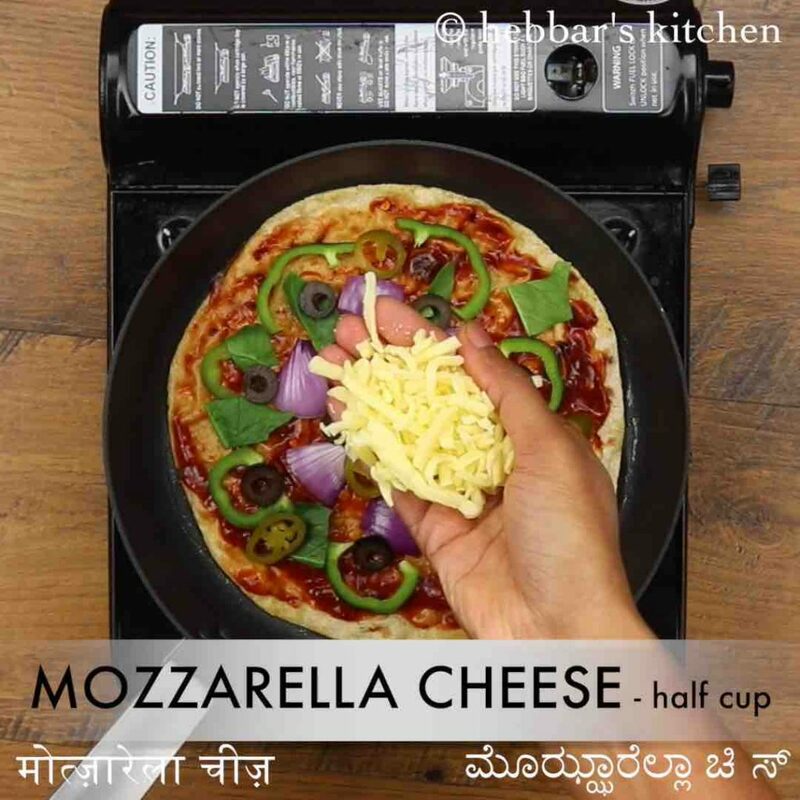 i have shared a quite a few pizza recipes till now but this recipe is my new favourite recipe. 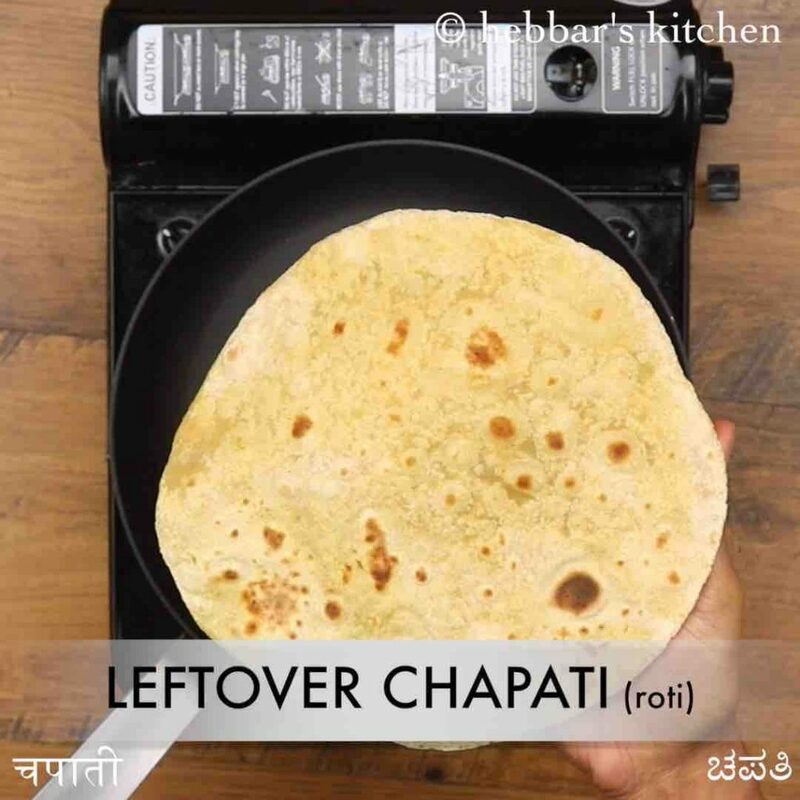 there are couple of reasons for it but the primary reason is because it use’s leftover roti’s as it base. in other words, it basically cuts the entire cumbersome process of kneading and proofing the maida based base. hence the roti pizza can be prepared within minutes and more importantly without oven. especially during the weekends, when you need a lot of motivation to cook any snacks from scratch, any cheese based instant snacks is ideal. 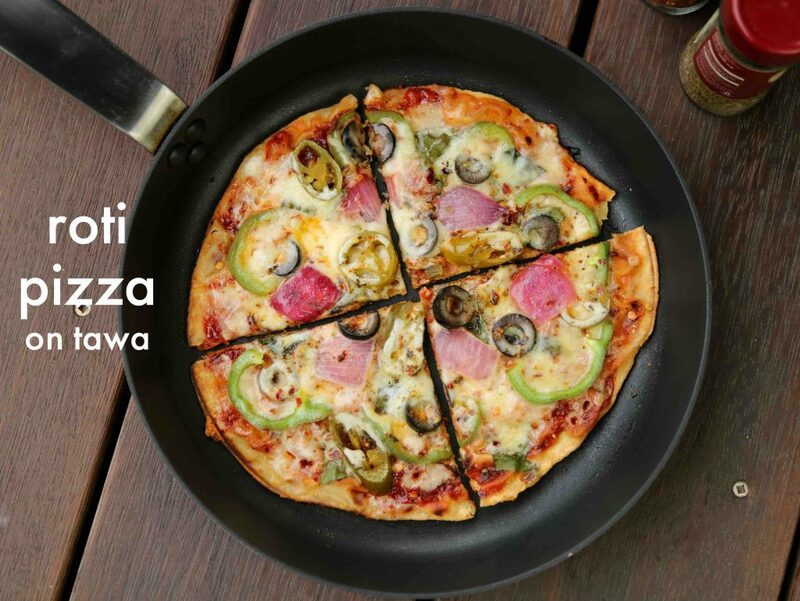 the other advantages of pizza roti is the thin crust as compared to traditional one where it ranges with different size. in addition, you cannot negate the advantage of wheat-based roti’s when compared to the maida or plain flour with yeast in authentic pizza’s. furthermore, some easy tips and suggestions while preparing the instant roti pizza recipe. firstly, the chapati or roti’s has to be room temperature and hence leftover roti’s are ideal. i would not recommend to use freshly prepared roti’s as they would soft and cannot be used as base. secondly, i have used only vegetable-based toppings but the choice of toppings is completely open-ended. you can mix and match with either meat or combination of both. lastly, roast the chapati base on a low flame with sufficient butter applied to the base. this ensures the chapati does not get over roasted and still becomes crispy. 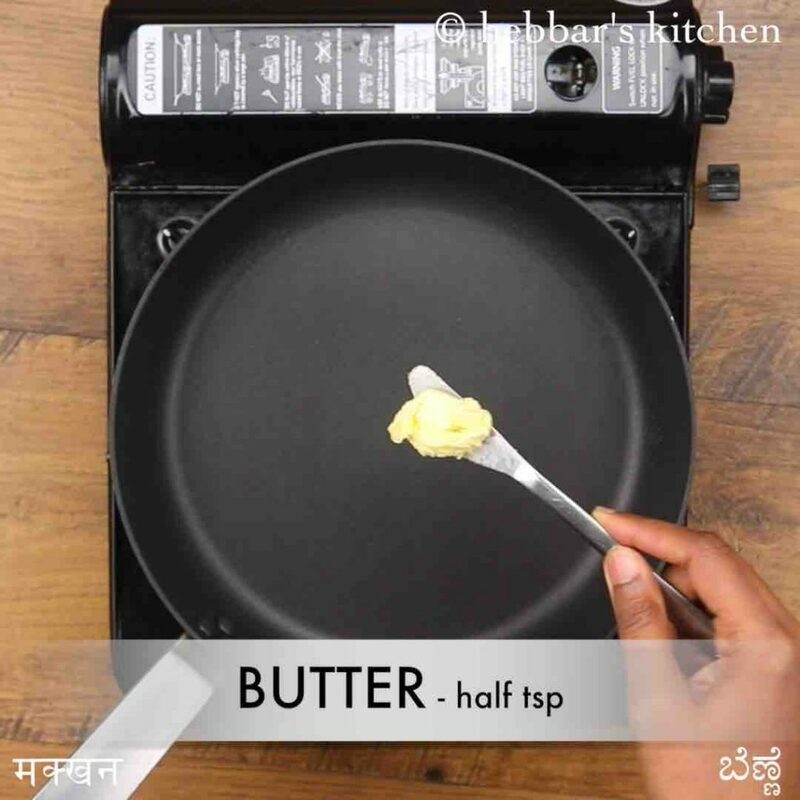 firstly, heat tawa with ½ tsp butter. you can alternatively bake in an oven. once the butter melts, warm chapati/roti slightly. now turn off the flame and spread 4 tsp pizza sauce. further top with capsicum, onion, palak, jalapeno and olives. also spread ½ cup mozzarella cheese. further sprinkle ¼ tsp chilli flakes and ¼ tsp mixed herbs. 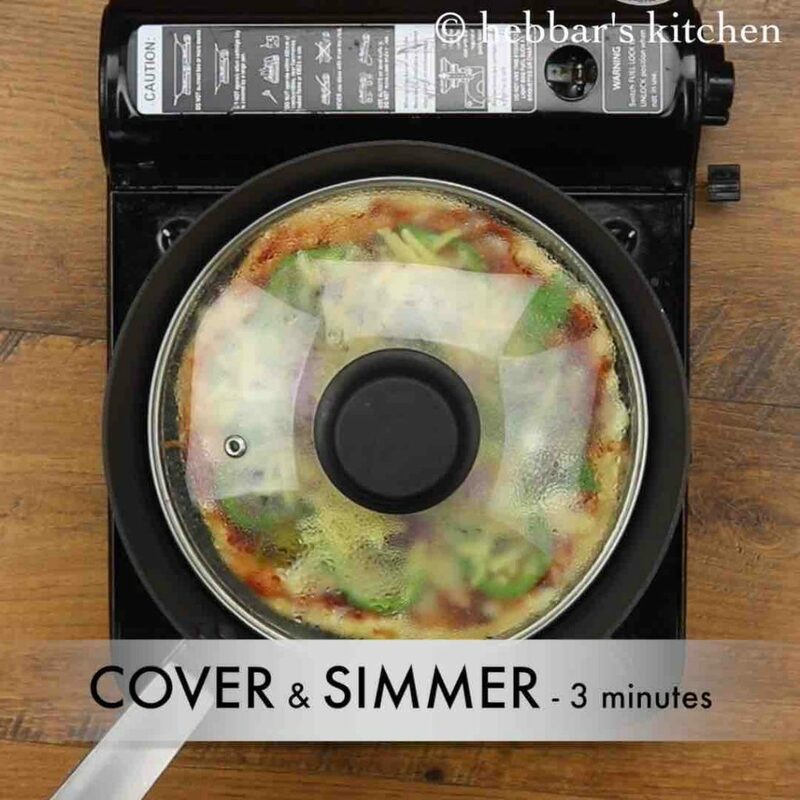 now cover and simmer for 3 minutes or till cheese melts completely. 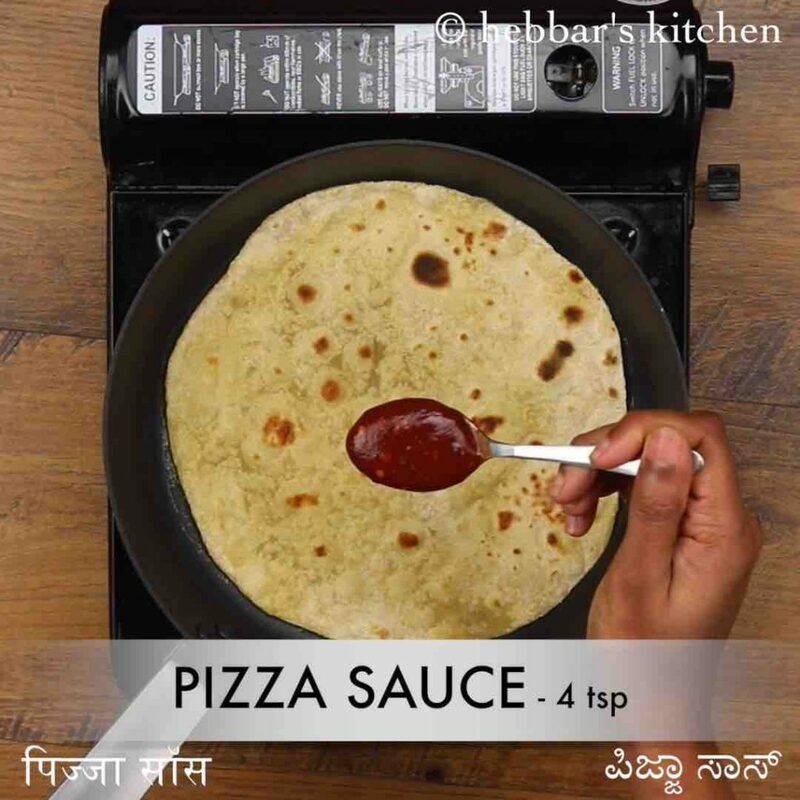 finally, slice the roti pizza and serve hot. also, spread ½ cup mozzarella cheese. further, sprinkle ¼ tsp chilli flakes and ¼ tsp mixed herbs. firstly, use leftover bread to get a crispy crust. also, cook on low flame to prevent roti from burning. additionally, top with vegetables of your choice to make it more appetising. 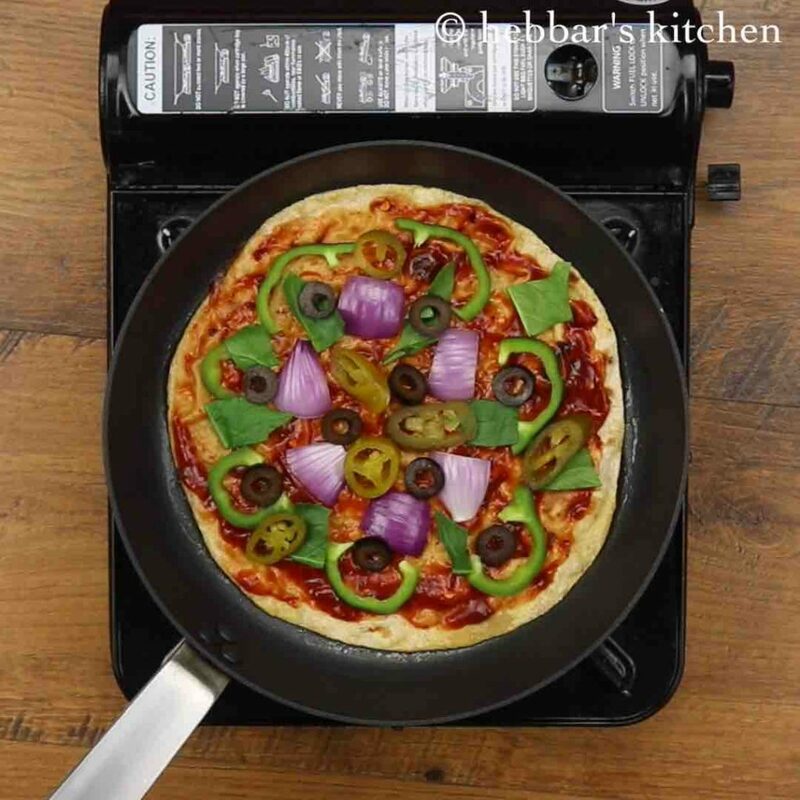 finally, roti pizza recipe can be considered as a healthy alternative to veg pizza.